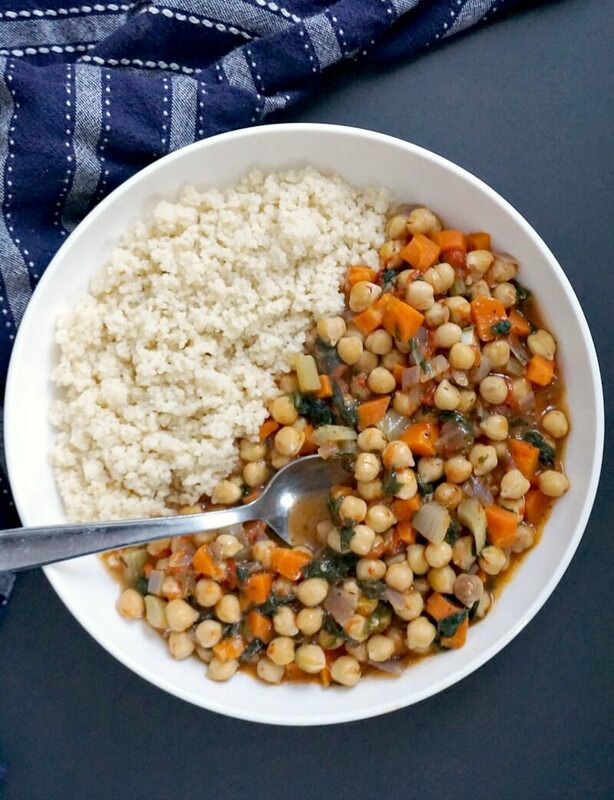 Vegan Chickpea Stew, a delicious midweek meal that is ready in only 30 minutes. Super nutritious, low in calories, and gluten free, this stew goes well with the whole family. Chickpeas are super versatiles. 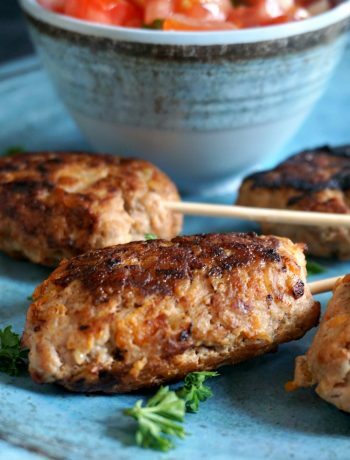 They are great in any kind of dish, from the famous hummus dip, to any main meal. Reserve the liquid you get from the can of chickpeas, and you have the best egg white substitute to make any mousse dessert, or meringues. Or any dessert that required egg whites to be beaten. How amazing, isn’t it? If you fancy a hearty meatless chickepea stew, this is the recipe for you. 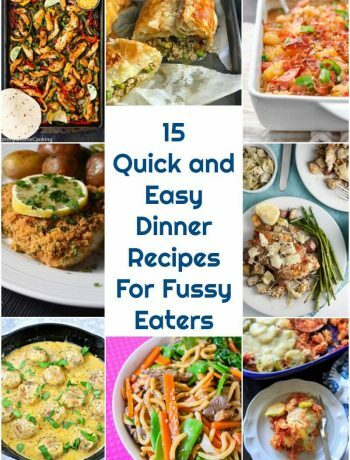 It’s loaded with healthy veggies, and it’s packed with essential vitamins and minerals. Plus, I can tell you that you won’t miss the meat from this stew, the chickpeas are filling enough. However, if you don’t particularly want this stew to be vegan, add chorizo for a nice smoky flavour. 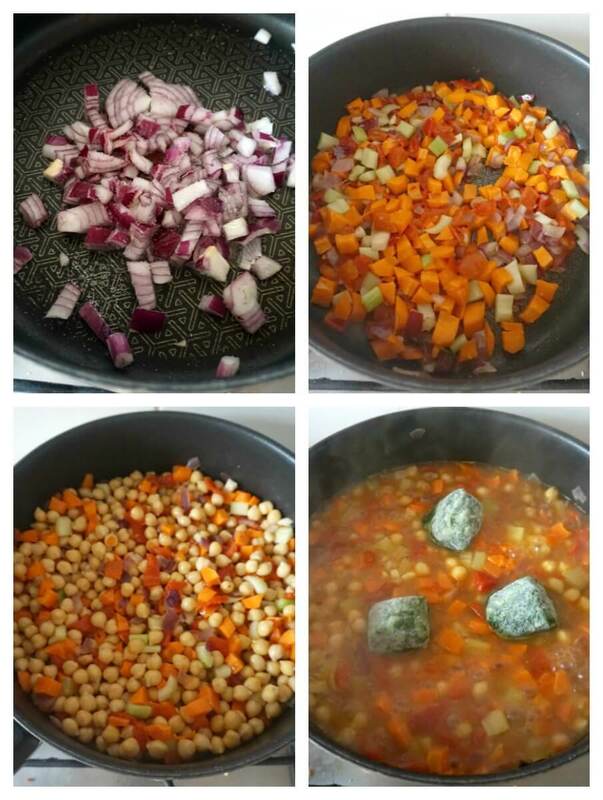 How do you make vegan chickpea stew? Have all the vegetables already chopped, so you don’t need to rush anything. Heat up the oil in a pan, add the onion, and fry gently with a pinch of salt until it softens. 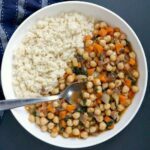 What to serve with chickpea stew? I served mine with bulgur wheat, it’s a lovely low carb option, but basmati rice also works great with this stew. 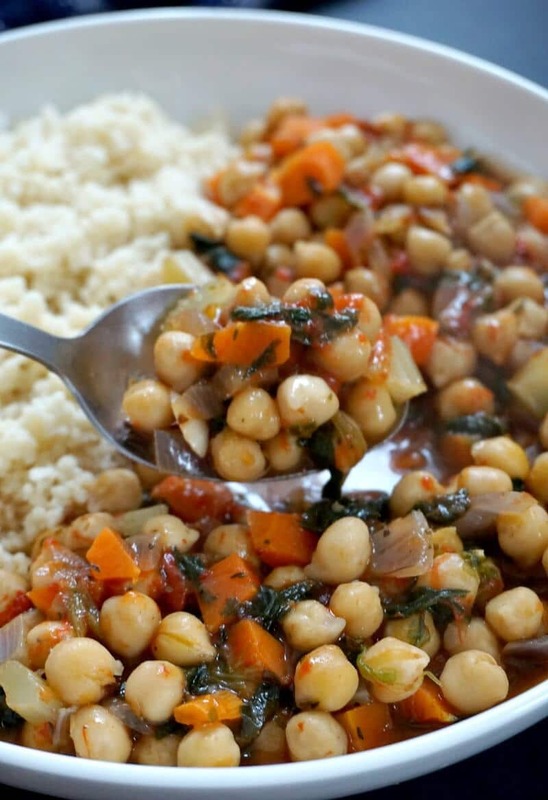 Couscous is another great side dish, and is ready in less than 5 minutes. All you need to do is add boiling water to it, cover, and leave the couscous to soak up the water. Can you freeze the stew? Yes, absolutely! Just leave it to cool completely before adding it to freezer-safe containers. To defrost, pop it in the microwave, and job done. 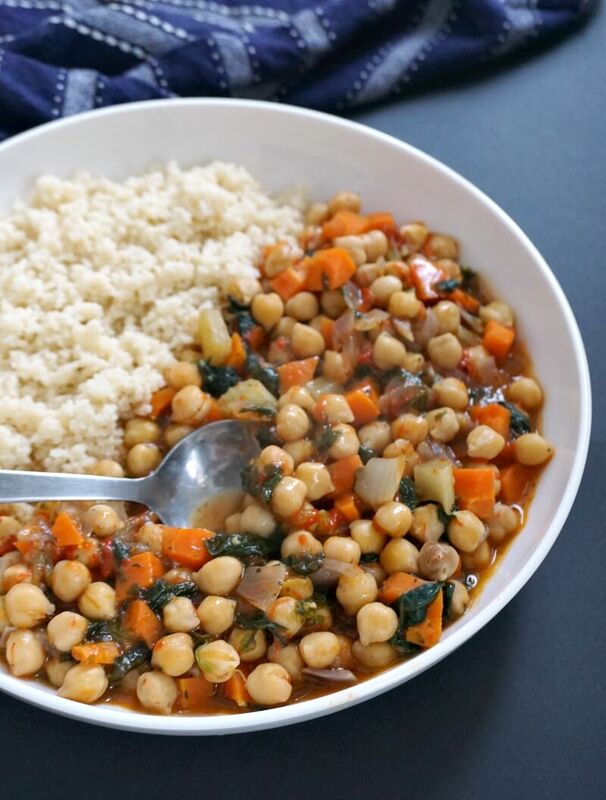 If you’ve liked my VEGAN CHICKPEA STEW or any other recipe on the blog then don’t forget to rate the recipe and let me know how you got on in the comments below, I love hearing from you! You can also FOLLOW ME on FACEBOOK, and PINTEREST to see more delicious food and what I’m getting up to. Peel and chop the onion, heat up the oil in a pan, and gently fry the onion with a pinch of salt until it softens. Add the peeled and chopped carrots, celery, roasted red pepper, and cook for a further 1-2 minutes. Pour in the vegetable stock, then leave to cook for 15-20 minutes until the veggies are tender. Add the frozen spinach and tomato puree together with the garlic, and leave to cook for a further 5 minutes. 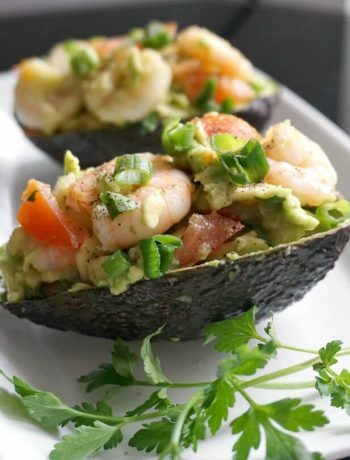 This looks amazing and I can hardly wait to make it! One thing – in the narrative above the ingredients it says “chicken stock” instead of vegetable stock. Oops! We all know that’s not vegan.